I didn't mean to imply with my brief hiatus that this baby had come. :) No. Ryan was out of town last week, so I was again grateful that this baby is marinating just a bit longer. We like 'em juicy and tender. I have been filling my days, however with little odds and ends, which always feels good. I've also decided that I'll share maybe one more project from my Never Enough Orange (NEO) Sewing Studio before revealing the whole room, since I think I will never feel as if I've actually completed the room in it's entirety. But this isn't it. No, this was much more pressing. The first day of school we arrived home to a very tidy kitchen that I had spent much nesting energy preparing. I went to hang up my purse and returned to backpacks and lunch boxes strewn about the kitchen floor. This will not do, is what I said aloud, but mostly meant it for myself, because I have learned in my motherhood journey that organization usually always begins with me--which sometimes isn't so great. But, I knew something needed to be done, so I hatched an idea and began my search for little chalkboards to hang above the hooks where backpacks and lunch boxes also ought to be. I went to an office supply store. No luck. I looked online at a lot of places, but mostly what I found were the cheap plastic-made-to-look-like-chalkboards. I knew it would make me mad every time I tried to write anything on them and a faint line would be the result. I wanted gen-yoo-wine slate. Finally I went to Michael's and they not only had slate chalkboards, they had multiple sizes! I also picked up a white paint pen while I was there for the "permanent" daily tasks. (since these are real slate I imagine some paint remover would take off the paint if you want to change the usage later.) Now I can ask if they've finished everything on their board before they go out to ride bikes or make rice krispie treats (ahem, Pearl). I left the wood natural, but that may change as the mood hits. I just used removable tabs you can get for temporary hooks on the back of each chalkboard, but you could also nail them into the wall or drill holes and hang them on hooks--whatever your pleasure may be. Shoes are put away, backpacks are hung up and hands are washed first thing. The lunch room kitchen at school has plans for renovation so all lunches are brought in from surrounding restaurants with a very hefty price tag (I remember when I would take 4 quarters to school for lunch money--my dad had a coin operated arcade game business, so everything was all in quarters, or rolls of quarters.) With prices up, lunch has to be made every day. Although Azure will learn how to read this year, I made hers in pictures so she can't claim she doesn't know what to do ;) Thinking ahead, this momma. Now I'm working on making their lunches more exciting. Any ideas? Have you hear of Bento style lunches? In Japan it shows how much you love your child by how cute their lunches are - well that is the idea. They might look like lots of work, but with some easy tools (cookie cutters) it really is easy. Here is a couple of links to see. I got the idea from "Salsa In China" (such a fun blog: I made a picture and word menu with all the proteins grouped, side dishes grouped, etc, and laminated it. On Sundays the girls go over their menu and plan what they are eating that week. We then write it on their slots on our family white board. It beats me yelling up the stairs at 6:30 am, "GET DOWN HERE AND WHAT DO YOU WANT FOR LUNCH?! ", because at that point, it's going to be a PB&J every single day. In one of the Jamie Oliver cookbooks he mentioned making kids lunchboxes "interactive" so they have fun, like having a bit of salad dressing twisted up in clingwrap and then get to pour it over their salad. Stuff like that. Or maybe having their sandwich bits separate so they get to put it together when they eat. But it just depends on if your girls prefer to eat quickly and go play then fiddle around. It is amazing how well checklists work with kids. When we moved to NC, Kylie begged for her checklist, so she would know exactly what needs to be done before and after school. Yours is just a bit more creative than ours:). we are all about eggs, veggies, and some cheese here for lunches, not too exciting by yummy. although my kiddos arent in school yet, putting their meals in canning jars are always a treat! Where did you find that giant calendar? So fun. This is such a great idea... did the chalkboards come with the border? So cute. And check out www.anotherlunch.com. Her ideas are ah-may-zing! I love it! They turned out so cute! I just made some for my kids too, and I love that your first 3 are the same as mine (shoes, backpack, hands)!! We have a similar get home routine (take off shoes, go potty, wash hands, change into play clothes, put up school papers and lunch boxes, lunch). Problem is that when they bring home the lunchbox I need it in the kitchen to clean it out- not by the door. And the hooks are- you guessed it- by the door in the front. So I'm giving them their own drawer now just for lunch boxes. I may steal the list so i don't have to repeat "take off your shoes" ten times. THanks. oh, i forgot to add a lunch idea! We rotate through yogurt, sandwiches, bagel & cream cheese (with meat in between), and pita bread with hummus. What a fabulous idea! I really love it. Yeah... Where DID you get that calendar? It almost doubles as art. Miss James over at Bleubird Vintage packs some great lunches...you can see them at http://bleubirdvintage.typepad.com/blog/kiddo-lunch/. She is my lunch inspiration! Not going to lie. Did think that you were possibly having your baby! In good time though right? And I also love the calendar... So organized. Well done! Such a great idea! I will join the chorus asking where you got that amazing calendar! Glad to hear that baby is still cooking. Cute idea with the boards. I remember those school days and my mom trying to get us to hang up our things and clean out our lunchboxes. Here's what she did. When we arrived home, we were to do basically what your boards said. If we got home and dropped our backpacks and my mom noticed, she would say, "March." We then would have to put everything back on and march around the house one time. Once, I was so frustrated about having to walk around the house that I kept coming in and dropping my items in anger. I think I marched around the house three times before I remembered to put my things away. :) Good memories! Rhonda-Yes the chalkboards come framed in the wood. Oh I love this! Such a great idea. I STRUGGLE with organization. Maybe I need to make one for myself. Seriously. Well done as always. Very clever. I bet they love checking those boxes when their task is done! It's a Dutch website, but there are lots of pictures and I’m sure you could find your way around with google translate or something like that. 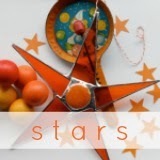 You have to check out the "Thema en seizoen"-tab (means "themes & seasons") and this link http://www.leukelunch.nl/home/14 (some really cute ideas). I get so excited to see decluttering and organising in action. It inspires me no end. Love the personalised hooks and the boards. Going to pinch that idea as soon as possible! Routines are great and it does help keep tense stand-offs to a minimum in the house! Of course, in many schools around the world, it's rice or porridge for the precious little ones, and not enough of it anyway. I love how all your blog readers are on Baby Alert, it has to be a good thing to be in so many hearts and minds globally. So, orange is your never-get-tired-of-it colour. I am too faddish - the only things I don't tire of, are black and white (*yawn*). I like how you have a place to hang up the backpacks. Do you happen to know how much weight your hooks hold up? I have one about to start Kindergarten and one about to start pre-school. I have some hooks that I think I just might ask my husband to install just for them to hang their backpacks on (and one's lunch bag) now. Thanks for the inspiration. love this! your chalkboard idea is brilliant and that calandar is awesome! We usually brought our lunch to school, but when we begged to buy lunch my mom thought of it as a good way to get rid of loose change and would give us ziplock baggies of nickels and dimes. Of course I wouldn't count it out ahead of time and there would be 50 kids in line behind me as I was counting out $1.35 or something in nickels. oh, I need my own mini chalkboard. I love this idea! My kids favorite lunch/snack was a banana burrito. Simply put a layer of peanut butter on a tortilla, drizzle a little honey and slice a banana in half lengthwise and place on PB & honey, roll up and you have the perfect burrito! Actually tortillas are a great for any kind of sandwich. Goodluck! i ABSOLUTELY love this idea. I've only got three coming home every day but I still can't believe the pile of bags/lunchboxes/jackets...and I'm tired of barking out the same "shoes! bags! homework!" every afternoon. I'm gonna take this idea & run with it. thank you. thank you. thank you. Love this! And I'm really interested in the calendar. Was it a DIY? If so, I'd be interested to know how. Great job organizing and thanks for sharing. It's always helpful to get new ideas! I'm all over this idea...love it. My boys definitely got one trait from their Mama--they love a good checklist! Thanks for sharing. I'm laughing because I got on to comment (great work with the hooks and the chalkboards and such, I love it) but I REALLY wanted to know about the calendar. Me and everyone else!! We use The Laptop Lunch System for school lunches, as the cafeteria lunch here is 44 perday per child (ouch!) plus I'd rather serve them what I choose anyway. The Laptops are a take on the Japanese bento Box. It has 4 compartments as well as utensils and a water bottle. I tend to send small salads, bellpeppers with hummus, carrots with sunflower seed butter (the Laptop System has cute little dipping containers too), sandwiches cut with cookie cutters, curried tuna with apples and raisins stuffed into pitas, fruit on plastic decorative skewers (for my older two children), cubed cheese, and a small treat like chocolate covered goji berries. I love this chalkboard idea! And so you know, I canNOT wait to find out if this baby is a boy! Put everything on a stick! Fruit, bread, veggie or a mixed cheese kabob! Interactive lunches are always fun: Dipping, putting a sandwich puzzle together, or mix it yourself. You can also use the edible pens to write or draw on their food. PS First time I have written a comment, but just had to tell you that you are one of those people you just wish you could be friends with! I also use the laptop lunches and love them. I really like their monthly newsletter as well. Their website has a great section of recipes and such that's very helpful and motivating when I really just want to send chips and a sandwich. It's a good resource, even if you don't need the boxes and such. I enjoyed reading through the comments and finding what others had suggested for lunches. I also wanted to ask whether you have your girls pack their own lunches. I think with a little preparation you could portion things out into ziplocks, or I have also seen some tutorials on reusable fabric snack bags that were really cute. Then the girls could customize their lunches. A few crackers instead of bread to build their own "lunchable" with cheese and lunchmeat. I like the gogurts yoghurt tubes that you can freeze. They don't take up a lot of space, and keep the lunch a little cooler while they thaw out for some lunchtime dairy. There are also bottles of chocolate milk available which do not need to be refrigerated. We get them at the warehouse store (like Sam's) and they are perfect for my daughter, who likes them warm. If you send something like hard boiled eggs, you could let the girls color on them with marker or even dye them (make tea dyed eggs even?) so they are fun when they pull them out of the lunch box. If you like the cookie cutter idea that a couple of people suggested, you could make some pbj, with different flavors of jelly, and after cutting some out, then mix and match the flavors. OK, I think I've talked enough already! I love this idea. We just have one in school right now so things are a bit easier to manage but in the future this will work quite nicely. I also love that you have your kids wash their hands when they come home. I often feel like the only mom who is pretty adamant about that. As for lunch. Our lunches are $1.40 and they are surprisingly pretty well rounded. So we do that for now. :) Knowing you, you'll come up with amazing stuff as you always do. I love this idea! I had some a piece of board I was going to use our chalk paint on, but I really love the idea of the individual boards....and especially the drawings for the younger ones to get involved. I used our little chalkboards and spruced them up some and they are all ready to hang. Thanks for sharing the idea with us!!! I found these wonderful dry erase markers at Hobby Lobby. I even tried them on my painted chalk board, but they are meant to be used for white boards, glass, slate, and chalkboard paint. I know I like things nice & neat & these write like a Crayola marker but erase easily. Plus they come in bolds (red, white, black, & royal blue) & brights (neon green, yellow, pink, & blue) which work on either dark or light backgrounds. 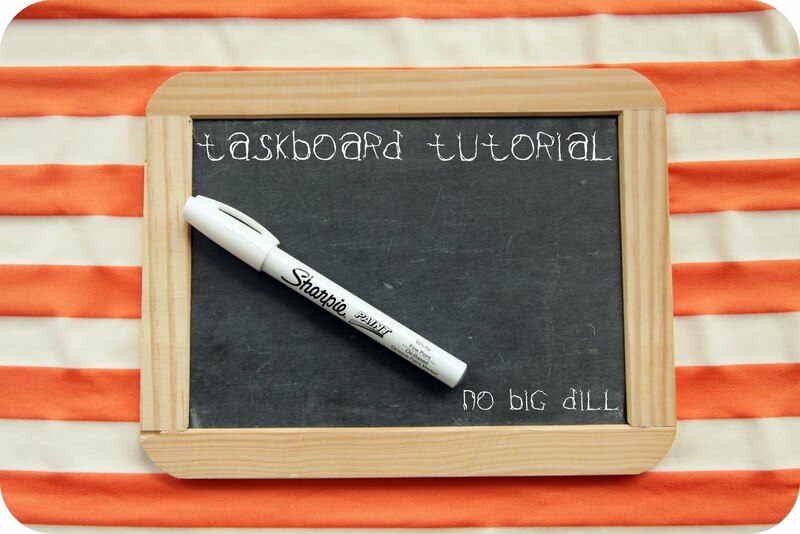 Hi, just came across your post about the task boards. Awesome idea. Just what my wife was looking for me to do for her. Do you have any tutorials for the backpack hooks or the calendar that appear in the background of this post? Thanks.